Whew, I did it again. Year number two taking a cruise out of Miami, something I thought I would never do. 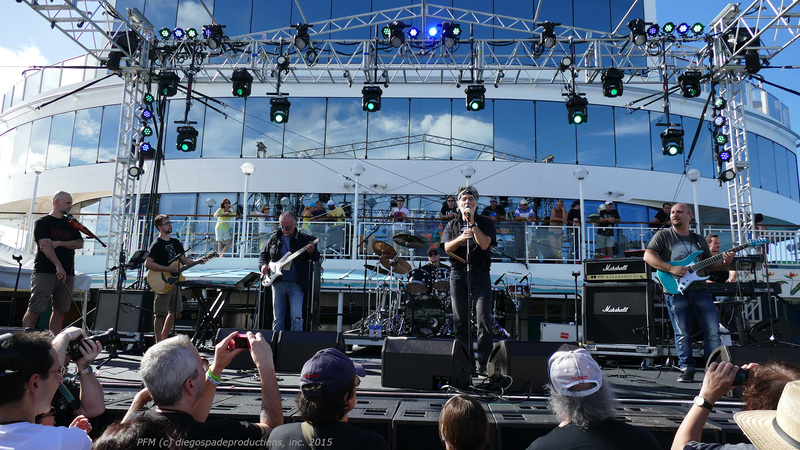 Once again the third annual Cruise To The Edge featured Yes along with performances by over 15 old and new progressive rock bands. It was another chance to rock to the jagged beat of prog, pop seasickness pills, collect some new t-shirts, and catch God knows what in the process. 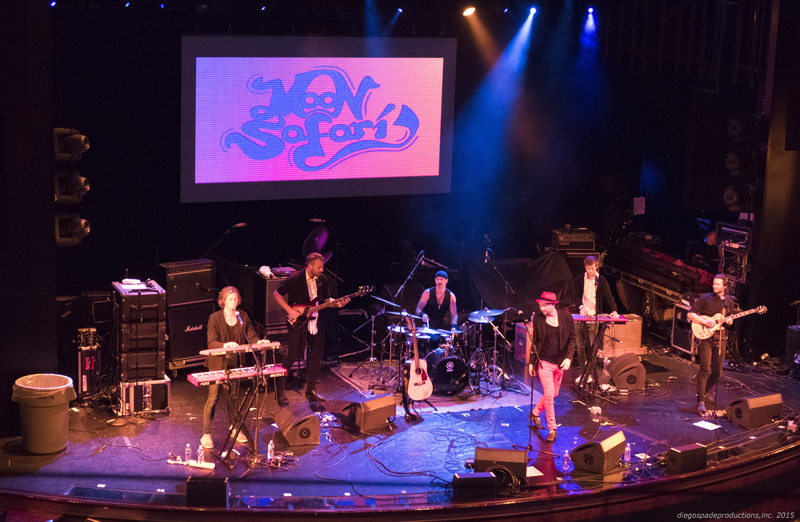 These Swedish prog-rockers topped the bill for this voyager, featuring their brand of moody, atmospheric tunes that take their cue from early King Crimson while remaining uniquely their own, steeped in the strong musical scene of the Netherlands. At center stage, Anna Holmgren leads or colors the mostly instrumental pieces with warm expressive flute, saxophone, and other wind and percussion instruments, with bursts of Mellotron for good measure. Founding bassist Johan Brand is a focal point, putting muscle into the mix via his Rickenbacker bass guitar and towering stage presence. Founding guitarist Tord Lindman also provided vocals on two tracks. Jonas Engdegard (guitars,) Linus Kase (keyboards) and Erik Hammarstrom (drums) round out the group. The band comes across as a very integrated, tight unit, giving voice to each musician in kind. At times their studio recordings can sound a bit cold and distant – not so when performed live – all the nuance and beauty of the pieces shine, balanced favorably against ample dissonance. I’ll do a whole article on this wonderful band in the coming weeks. For one reason or another in the past I’ve never been able to catch this veteran act, one that was at the heart of the Canterbury scene back in the day. 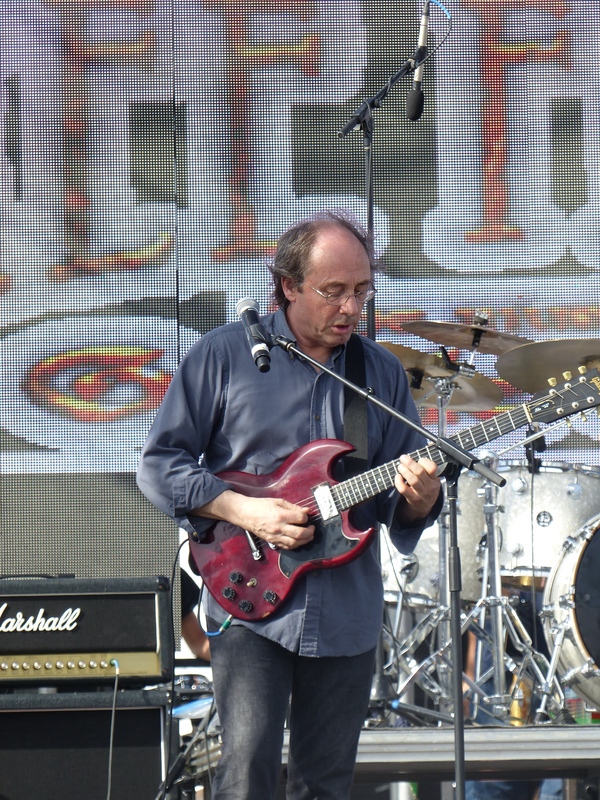 Instead, I’ve only seen individual members play live, as they came and went from fellow prog band Camel’s lineup. 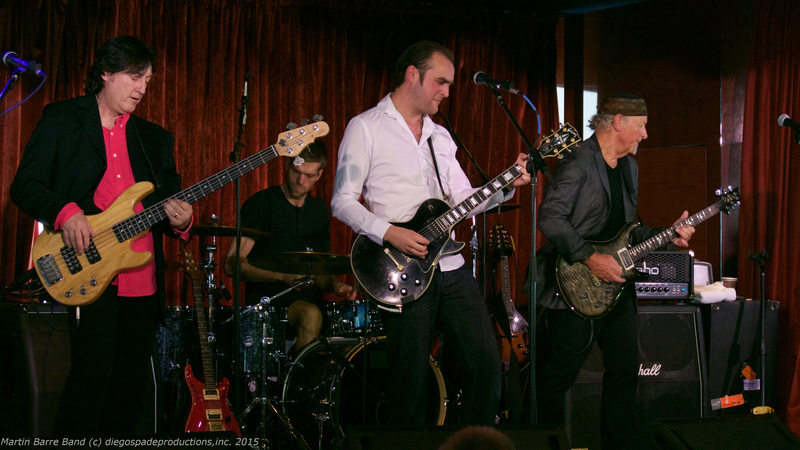 This was righted last week as Caravan’s founding member Pye Hastings (vocals, guitar) joined long time members Geoffrey Richardson (vocals, flute, violin, spoons) and Jan Schelhaas (keyboards) with Jim Leverton (bass) and Mark Walker (drums) for a set that touched on the band’s work over these last 45 years. The highlights for this fan were “Nine Feet Underground” from In The Land of Grey and Pink and the long song “For Richard” both demonstrating the enduring talent of this long standing group. 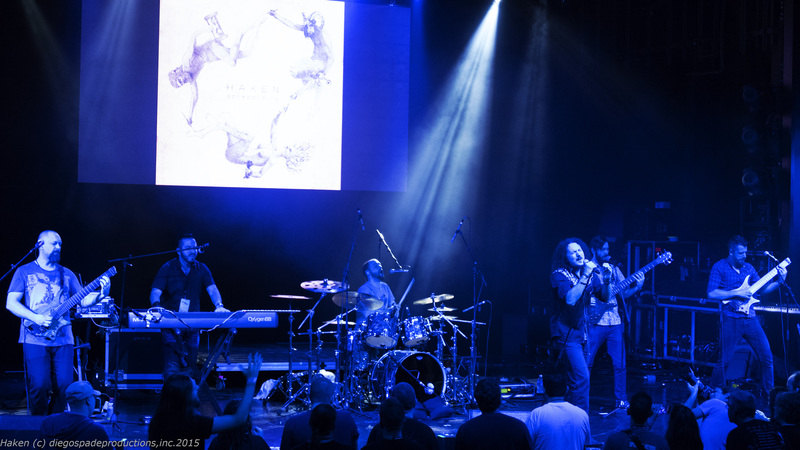 Haken impressed with the raw power of their performances, at once rough yet often refined, particularly as their long form songs lead them to interludes that feature contrapuntal instrumentals and vocal madrigals. Lead singer Ross Jennings keeps the energy up, showcasing clean vocals and confident stagecraft. Wisely, this band changed up their set list this year. 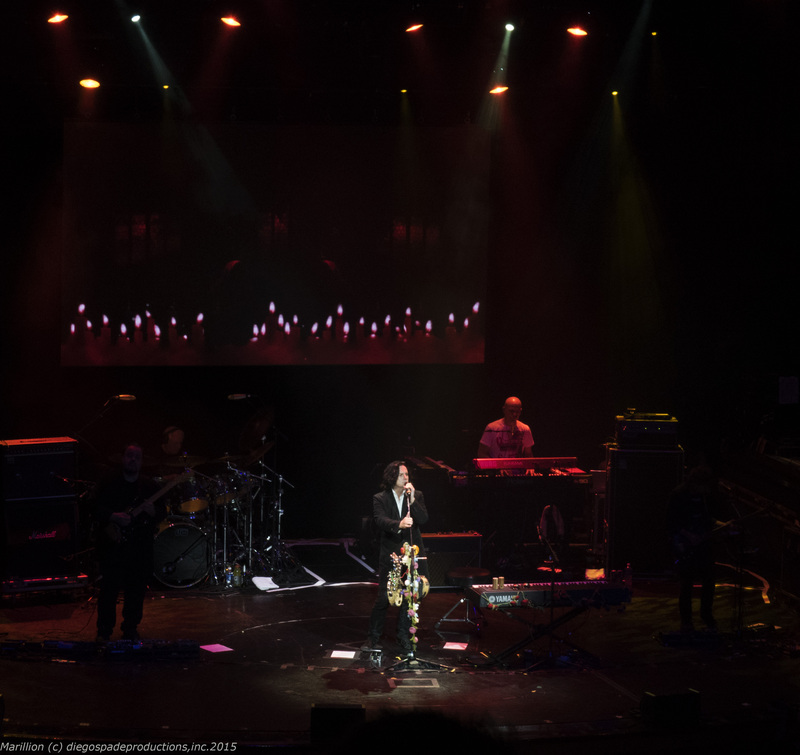 Singer Steve Hogarth wrings emotional depth from song-stories that cover a variety of themes as he crisscrosses the stage to punctuate their delivery. 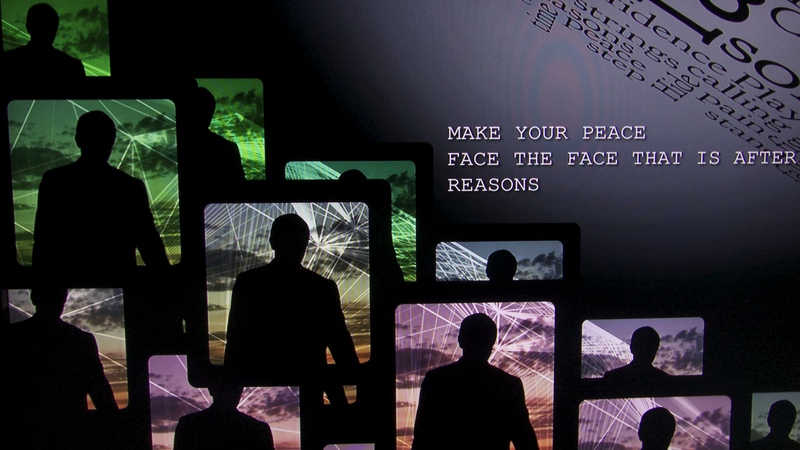 The talented band hit many highpoints with the title track of their last album Sounds That Can’t Be Made, “Man Of A Thousand Faces” and a song about the vagrancies of fame, accompanied by film clips of departed artists from Marilyn Monroe to Elvis, John Lennon, Jim Morrison and many others who shone brightly but were taken too soon. Encore “The Invisible Man” was a spectacular way to close out the cruise on its final evening. No relations to the French band Air, this Swedish outfit ended up being my wife’s favorite, and it was easy to see why as this young band plays a slightly less angular, and definitely more accessible brand of progressive music than many of their peers. 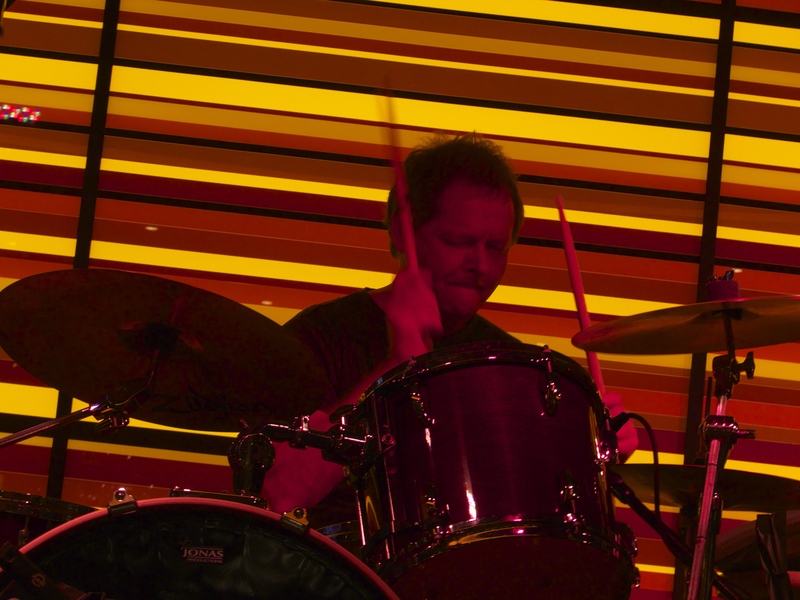 The musical chops are there, with solid bass and drums supporting excellent leads on guitar and synthesizers. But the real strength of this band are their vocals, presented live in energetic performances that find the front line alternating leads and harmonizing beautifully throughout, ending the show with a 5 part a’capella capper that had the audience on their feet. Another band that brought me back for a second year, Italy’s PFM lit up the poolside stage on two successive days playing a set list heavy on selections from their masterpiece Photos of Ghosts (1973), and other 70’s favorites. Two more recent tracks from their ode to Mozart “Pfm in Classic – Da Mozart a Celebration” rocked discerning attendees. The set list was nearly the same as last year, but the musicians delivered two fun, energetic hours of fresh-baked Italian prog gems. 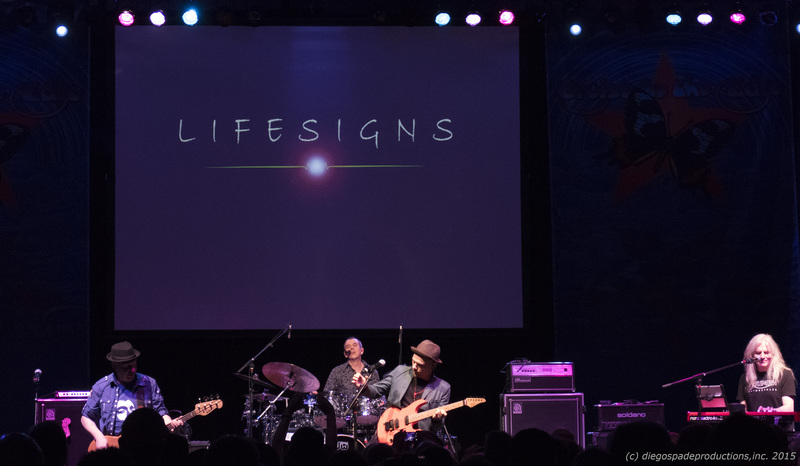 Founding guitarist and vocalist Franco Mussida retired earlier this year, and was replaced for this tour by two excellent musicians, one of whom sings Franco’s vocal parts, and both of whom play acoustic and electric guitars respectively. On Wednesday a bit of bad luck hit, as accomplished drummer, vocalist and band leader Franz Di Cioccio missed the second day’s show due to illness, leaving power-bassist Patrick Djivas to lead the show, which he did with aplomb, though reporting at one point that it was definitely strange to play without Franz. This Canadian ensemble played an evening set on the last day of the cruise, taking the audience through a collection of their upbeat tunes, marked by the hit “On The Loose” finding vocalist Michael Sadler and band in top form. 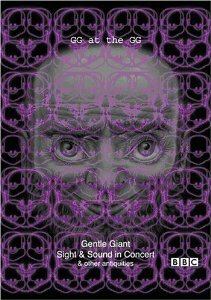 Last year Three Friends played the complex, thrilling music of Gentle Giant led by two original band members, guitarist Gary Green, and drummer Malcolm Mortimore, down from three after the departure of original master keyboardist Kerry Minnear. 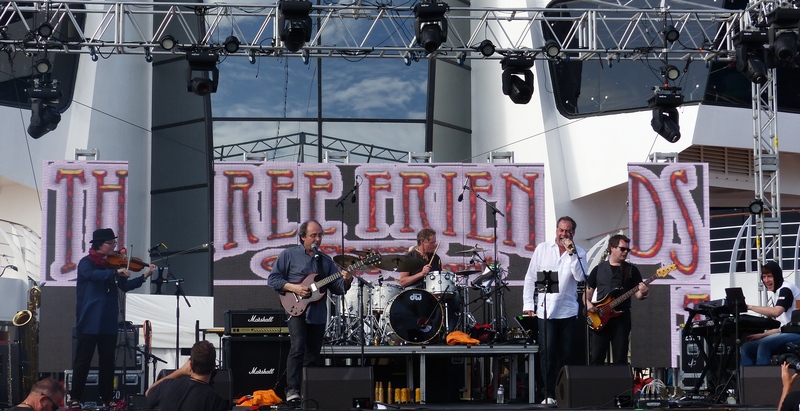 The band was a second major reason for me to return to the cruise, and the news that Gary Green suffered a heart attack a few days before the launch was disappointing, though fortunately by all accounts he is recovering swiftly. 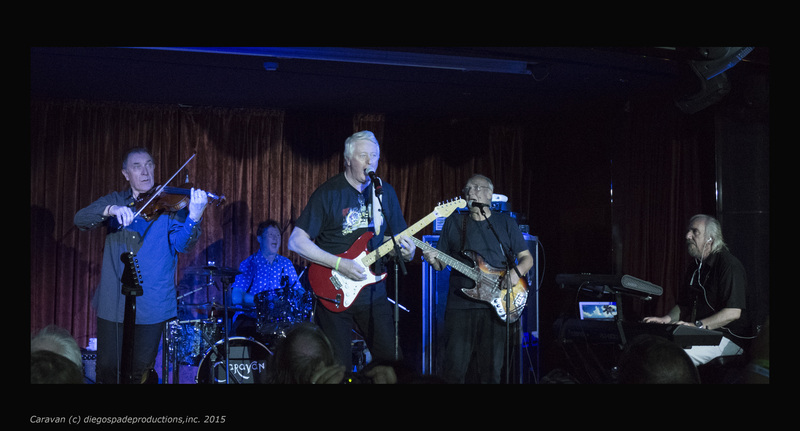 Instead of cancelling, the band played on, led by Malcolm front and center on drums, joined by vocalist Pierre Valentin, winds and violin player Charlotte Glasson, bassist Jonathan Noyce, and keyboard wizard Neil Angilley. 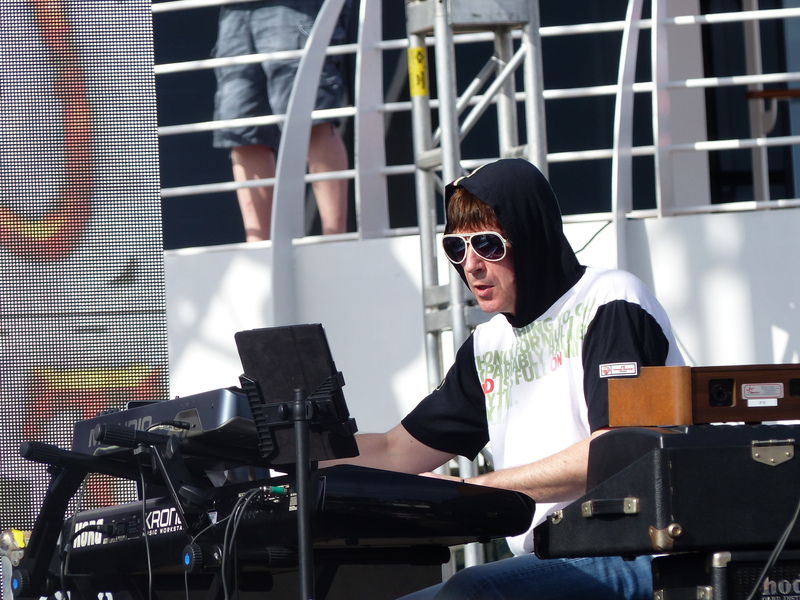 While Gary was clearly missed, their gigs on pre-cruise Saturday and again on the ship demonstrated their chops, and in fact allowed for a bit of additional focus on the keyboard parts, so ably interpreted and augmented by Neil’s talented, percussive playing. The set list was not greatly changed from the last voyage, but a standout track was added from the album Octopus, as “Think of Me With Kindness”, pulled at audience heartstrings with a beautiful vocal rendition from Pierre. Also, the inclusion of “Mobile” from Free Hand, gave Charlotte a chance to step up on violin. The show was great, and all hands on deck wished Gary a quick recovery and a return to the stage, while we enjoyed Three-Friends-Minus-Two! I wasn’t certain what to expect from Yes this time out. Original bassist Chris Squire passed away earlier this year, having named Billy Sherwood his successor for a summer tour headlining with Toto. The tour found the band focusing on some of their more popular songs, and most of that set list remained for this show. It’s somewhat unfortunate, as long-time opener “Siberian Khatru,” and closer “Starship Trooper” were in place once again, as well as “Don’t Kill The Whale,” “Your Move,” “Time and a Word,” “Tempus Fugit” and other familiar choices. 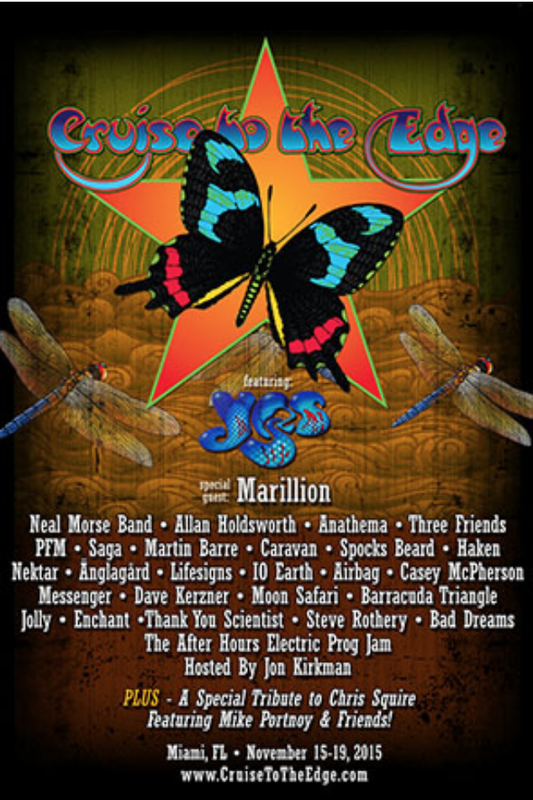 Given this a Yes cruise, packed with avid Yes fans, it would make more sense for the band to alter the set, prepare a list of rare cuts and make the event more unique and special. Also the band continues to slow the pace of their pieces for live performance. 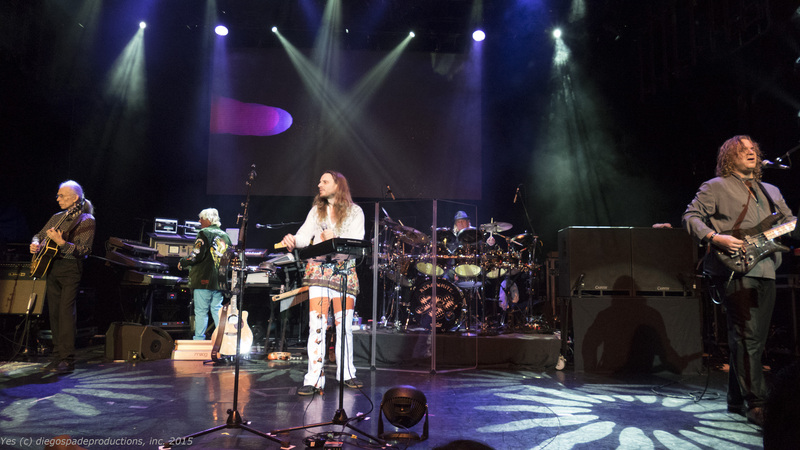 While ensuring maestro Howe hits every note on the original records, it robs the proceedings of immediacy and leaves drummer Alan White to keep a steady beat that never seems to change during the show. 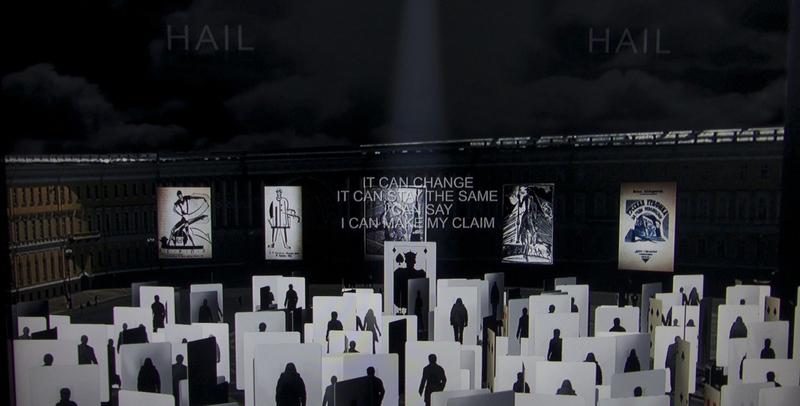 Having said all that, the performance was otherwise strong, and a new track from Heaven and Earth, along with a couple of rarely played songs made it onto the set list, namely “White Car” from Drama, and the beautiful masterwork “Soon” from Relayer. The latter in particular demonstrated the care and skill brought to bass leads by Billy Sherwood, with runs that defined the track alongside Howe’s slide guitar in equal measure. It reminded me of how unique and wonderful Squire’s playing was, and I rooted for Billy along with the rest of the audience, as he not only did justice to Squire’s legacy both on bass and vocals, but also was able to inject a new energy and a unique personal style to the proceedings. In addition, Jon Davison at this point sounds like Jon Davison, not an echo of Mr. Anderson. It seems this has been true from his second outing on, but we really noticed this time how Davison brings his own personality and voice to the evening, along with his heartfelt, uplifting stagecraft. Honorable mention goes out to artists we missed this time out at sea. As always it’s impossible to get to every single band on a cruise that is essentially a moving festival with multiple stages, as there are bound to be scheduling conflicts. This time out we missed Jolly, Thinking Scientists, Spock’s Beard/Neal Morse, and IO Earth to name a few, each of which landed positive reviews from the other cruisers that attended their sets. I didn’t talk to anyone who caught Alan Holdsworth’s sets, so can’t report on that, though rumor was he almost bailed on the cruise before it’s launch. As to the collection of bands this year, it was a great, if not exceptional lineup for those who have attended in the past. Circumstantially, several acts such as PFM, and Three Friends staged shows that were very similar to last year, and the absence of marquee names to replace Steve Hackett and U.K. was unfortunate. Still, Marillion changed it up quite a bit with a very different set and a performance that continues to draw us into their circle. Plus, Martin Barre, Anglagard and Caravan were all excellent, and the cruise overall must be deemed a success. No doubt master-of-ceremonies Jon Kirkman has already received countless suggestions as to bands that might be invited next year. It would seem that another headliner is in order, such as Rush or a similar major act that would change things up a bit. I for one would also vote for adding quality jazz-fusion acts, such as Zappa Plays Zappa, Al DiMeola or Simon Phillips for example. Unfortunately, I’m not sure that this year’s fusion axeman Alan Holdsworth drew many attendees. Also prog from North America is under represented, and organizers could include Oblivion Sun (former members of Happy The Man) or even Kansas or Styx, as both bands have staged strong tours this past year. 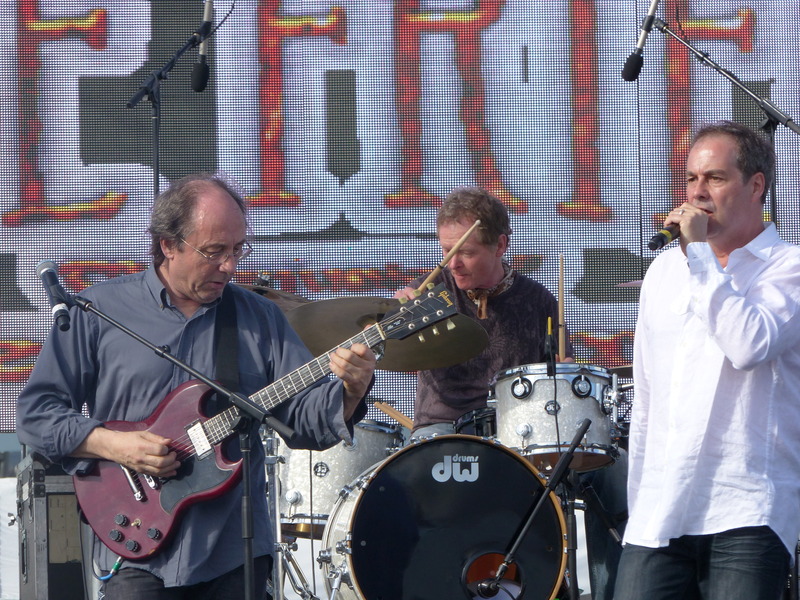 Possibly the Dixie Dregs could be reunited? It’s got to be increasingly hard to assemble enough veteran acts to join the neo-proggers, so hat’s off to Jon and the organizers of this event for delivering the goods! This was definitely a memorable event, well run, on a well-appointed cruise ship from Norwegian Cruise Lines. 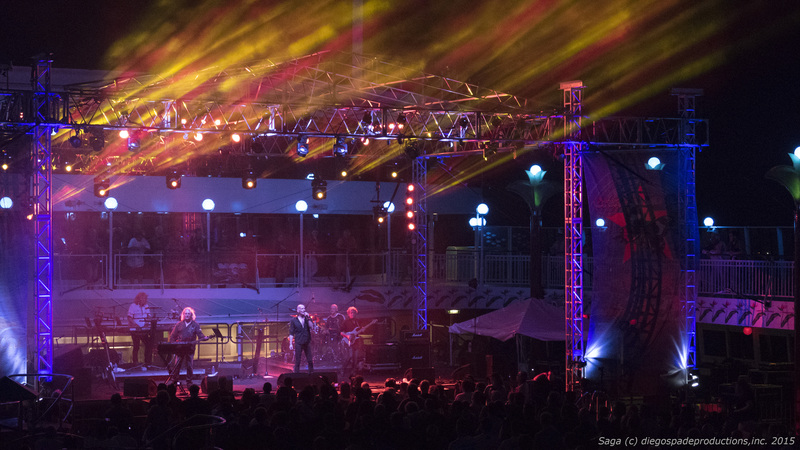 The organizers of the Cruise To The Edge floating festival threw a lifeline to old and new progressive rock acts alike. Very excited t o be going on the Cruise to the Edge trip to Honduras and Cozumel this coming April 7, 2014. To date I’ve been a bit wary of going on a cruse as I’m not quite seaworthy and typically regret any time spent without feet on terra firma! However, as this particular cruise will have as entertainment over a dozen famous progressive rock bands of the 1970’s and beyond I’m intrigued. Besides Yes who host the event, we have Genesis Revisited (Steve Hackett), UK (John Wetton, Eddie Jobson, plus), PFM (Premiata Forneria Marconi from Italy), Three Friends (former members of Gentle Giant Gary Green and Malcolm Mortimer), Marillion, and Tangerine Dream. 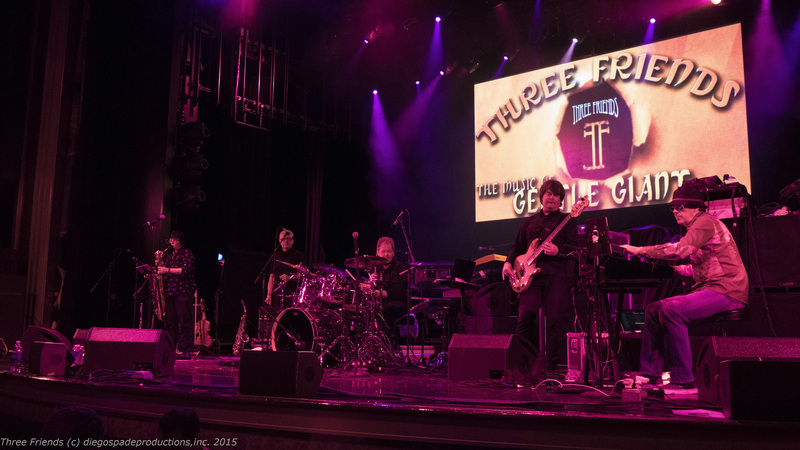 Plus having ace keys player Patrick Moraz, stick man Tony Levin, and the great Simon Phillips on skins, among so many others made it too hard to say “no” to this cruise event. 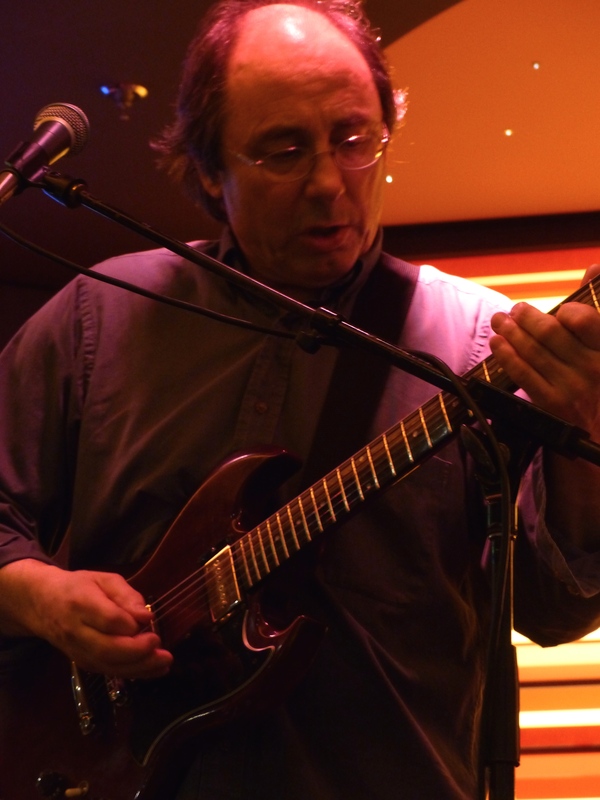 As we’ve been able to catch Yes, UK and Steve Hackett recently, the biggest draw for me is being able to meet and see Gary Green play live once again after all these years. 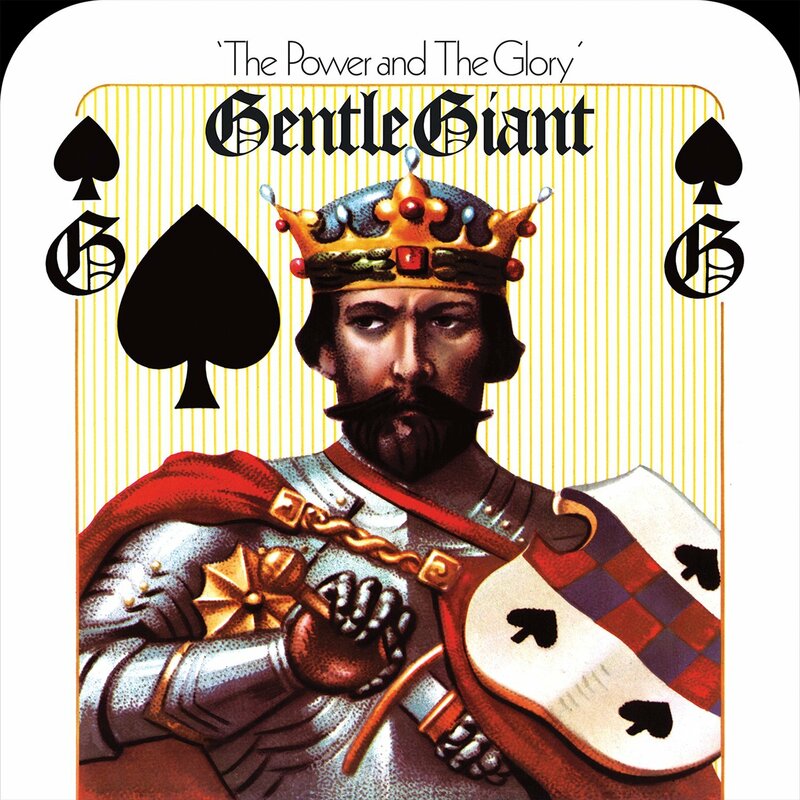 Three Friends has not made it to the west coast in the states to perform the music of Gentle Giant, so this is a rare treat. Also key is the inclusion of PFM from Italy. Its rare to catch them outside their home country and this is arguably one of the best ever progressive rock bands of the past, and present. Check out their latest disc for proof – the wonderful PFM in Classic da Mozart – a Celebration to witness how they have sustained their craft. Planning to file reports as we go, as long as the Dramamine kicks in!